Part 1. Metallurgy, Wheel/Rail Profile Design and Maintenance. 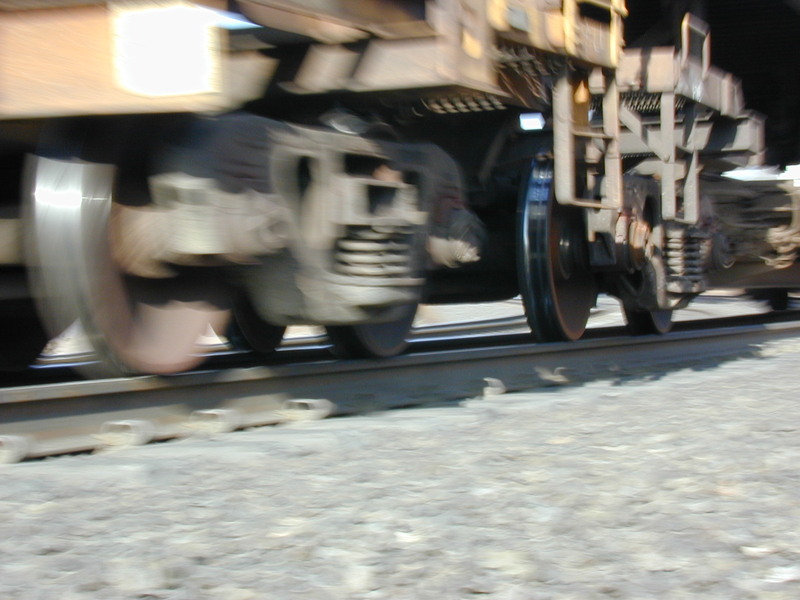 Ask a group of railroaders, researchers or suppliers what the essential aspects of understanding wheel/rail interaction have been over the past 20 years, and you’ll get a host of answers. But among them, major categories consistently emerge: metallurgy, wheel/rail profile design and maintenance, vehicle suspension, friction management and measurement systems. These topics, which will be addressed in detail at the 20th annual Wheel/Rail Interaction seminar, represent the building blocks of the industry’s understanding of wheel/rail interaction. Advances in metallurgy and profile design have greatly improved wheel/rail contact mechanics in the past 20 years. While people are drawn into the study of wheel/rail, vehicle/track interaction for various reasons, they invariably come to the same conclusion: The wheel/rail interface is a system: The only way to understand and, ultimately, manage it, is to examine both sides of the equation. Here’s a look at how a few industry veterans see it. Heat-treated rail represented an improvement, but the treatment didn’t get deep enough. The advent of deep heat treatment along with alloying made the difference. Because of variations in microstructure, you can’t say that one rail will perform the same as another of the same hardness, but resistance to gauge-face wear and crack growth associated with rolling contact fatigue (RCF) increases with rail hardness, said Joe Kalousek, former principal researcher officer at the National Research Council of Canada. “Cracks that propagate on the rail surface go deeper, faster in “dirty,” poor quality rail steels than in clean steels,” Kalousek told delegates at the first wheel/rail (mostly rail) seminar sponsored by Advanced Rail Management. What was true then is true now, 20 years later. Current research indicates that the wear resistance of 360- to 400-Bhn rail is six to eight times greater than that of 260-Bhn rail, Kalousek said. Resistance to crack growth, though not as dramatic, is still impressive; cracks in a 380-Bhn rail grow to 1/6th the depth they grow to in a 260-Bhn rail under identical traffic conditions. Though vastly superior to previous generation rail steels, the current crop of high-hardness, premium rails at some point will still develop RCF and require preventive or corrective maintenance, such as rail grinding. Rail grinding (when properly implemented) has a long, well-established history of extending the life of rail. Initially, rail grinding programs were almost exclusively corrective/reactive – performed to remove corrugation or surface damage that appeared on the rail. Corrective grinding was a slow and expensive undertaking, requiring multiple passes and the removal of a lot of precious metal from the costliest of a railway’s fixed assets. Preventive grinding programs were developed to remove surface cracks before they propagated deeper into the rail. By the early 1980s, North American railways began profile grinding – reshaping the rail to better match existing wheel profiles. And by the mid-1990s, grinding programs were extending the life of rail to more than twice the life that had been achieved in the previous decade when axle loads were lower and traffic densities were lighter. As concern grew that more metal was being removed than was necessary to stabilize the rail surface condition, an elegant concept known as “the magic wear rate” was introduced into the vernacular. Joe Kalousek, who developed the concept and coined the term, has described “the magic wear rate” as a point at which the removal of the microscopic cracks that occur in a thin layer of rail skin will keep the development of fatigue cracks in check. Although the magic wear rate changes with the hardness of the rail, contact stresses, and the coefficient of friction, it provides a balance between “enough” and “not enough” wear. Railways that believed in the benefits of rail grinding began chasing this elusive target. CP Rail, the former Burlington Northern, BNSF and BC Rail, a regional railway in British Columbia (now part of CN) with an extremely rugged operating environment, moved to a preventive approach to grinding. Initially, the recommended interval was 5-8 mgt on curves greater than 3 degrees. “That’s what it took back then,” said Eric Magel, Principal Engineer at the National Research Council of Canada (NRC). Railways have since experimented with various intervals, depending on tonnage and curvature. CP Rail, for example, plans to grind at about a 28-mgt interval this year, Magel said. You may, for example, have a curve that needs five passes, Kerchof said. But it may be one of 30 curves on a particular line that each need five passes. If you’re going to give each curve the five passes that it needs, you’re going to spend two weeks longer on the line, which delays your arrival at the next line, allowing more mgt between cycles, allowing more RCF to develop, requiring more grinding passes, causing you to fall further behind. “We decided that we’re not going to do five passes any more. We’re going to do three passes, even if the software on the grinder says it needs five passes, because we need to get the grinder over the railroad faster, so that we can get back on the next cycle within 25 mgt instead of maybe 35 mgt,” he said. NS is hoping to add rail milling, which is fairly well established in Europe, but not yet introduced into North America, into its budget for 2015. “I’m interested in seeing how a milling machine will do on rail damage, such as engine burns, electrode burns and severe metal flow, that is too deep to grind out,” Kerchof said. In addition to controlling crack growth, railways also began reshaping the rail profile through grinding. It was during this nascent era of preventive rail maintenance in which companies like Advanced Rail Management came into existence and the NRC came to prominence with rail/wheel profile designs that featured individual grinding templates for the high and low rails for various degrees of curvature and tangent track. The template designs, and whether one- or two-point wheel/rail contact was best, generated robust and sometimes heated discussion among researchers and practitioners in the late 1990s. Eventually, the industry moved toward the use of conformal profiles that better matched how rails and wheels actually wore in service. Wheel wear, surface conditions and profile shapes were also under the microscope during this period. Improvements in metallurgy, which increased wheel steel hardness to 360-Bhn through micro-alloying, began extending wheel life. While there was some concern that increasing the hardness of one component would come at the expense of the other, researchers determined that what was good for the rail was good for the wheels and vice versa. Canadian National started in the 1970s changing the shape of new wheels to better match the worn shapes and to provide better curving. In early 1980s it adopted a European designed Heumann wheel profile, which removed about a half millimeter of metal from the tread surface, effectively adding most of it to the flange root to improve steering. In the early 1990s, the NRC introduced the ASW (anti-shelling wheel) profile, which went even further, adding a full 1.5 mm of metal to flange root area, improving steering and reducing shelling on the wheels of vehicles operating in heavily curved territory. And in 1988 the Association of American Railroads (AAR) developed the AAR-1B wheel, to approximate the average worn wheel shapes and to provide conformal contact at the wheel flange root and the gauge corner of new rail. Subsequent designs, such as the SRI-1A, which has a modified flange root shape, have been designed to improve curving performance and reduce the surface damage that may occur during the wheel’s break-in period. One of the missed opportunities in implementing improvements that have been made with regard to wheel/rail interaction over the years is that these better steering wheel designs are not yet in wide enough use throughout the industry, Roney said. Beyond wheel profile design, Roney points out that the Transportation Technology Center Inc. (TTCI) has done some excellent work to demonstrate that anything greater than 4-mm wheel hollow can severely compromise steering. (The 4-mm hollow limit was included in the AAR interchange rules in 2005.) But because of interchange rules, North American railways don’t machine wheels to maintain their designed shape, like railroads in other parts of the world are known to do. Nonetheless, Roney said, if you maintain a taper on field side of the wheel profile, you may be able to live with “one-wear” wheels. For Gary Wolf, president of Wolf Railway Consulting LLC, who has specialized in derailment investigations over the past 35 years, a deeper understanding of wheel/rail interaction came as a result of a series of low rail rollover derailments as the industry was moving full steam ahead into the era of the 125-ton double stack cars. It started with two double stack derailments north of Stockton, then a third outside Las Vegas, then two in Colorado in a series of back-to-back 10-degree curves. “Those first five derailments freaked everybody out,” Wolf said. Overall, there were about 25 unexplained low rail rollover derailments under double stack cars. “It happened quickly, like an epidemic over a few months,” he said. They were all characterized by low rail rollover, fairly moderate curvature, and occurred primarily in dry, desert areas in the west. It was a pivotal moment for the double-stack business. The railroads understood that if they didn’t solve the problem quickly the nascent double stack container business would quickly become a thing of the past. The Double Stack Dynamics Task Force (DDTF), a consortium that included several Class 1 railways, three of the major car builders, two truck manufacturers, two side bearing manufactures and the largest container shipping company, was formed trackside at a derailment site to study and ultimately solve the problem. Wolf, then president of Rail Sciences Inc., was made the consulting project manager. The consortium performed truck warping tests at a truck manufacturer’s lab, truck turning moment tests at the TTCI, side bearing characterization tests at a bearing manufacturer’s lab and trackside instrumentation on the participating railways. The consortium’s work led to a better understanding of the forces at work at the wheel/rail interface – forces that could induce rail rollover under heavily loaded cars. Two issues quickly surfaced. One was lubrication, or the lack thereof, on the top of the low rail. This is where people started getting the idea that lubricating the top of the low rail in curves could significantly reduce lateral creep forces. The second had to do with rail securement. “We found that while railroads traditionally double-spiked the high rail in a curve, they didn’t pay much attention to the low side,” Wolf said. Another finding related to field-side wheel/rail contact. “We came to understand that hollow worn wheels on curve-worn rail created a bad contact condition that caused rails to roll over more easily,” Wolf said. This wasn’t such a problem on light cars, but it became critical as the loads increased. In the end, the task force solved the low rail rollover problem in about 18 months.